OLD PARKED CARS. 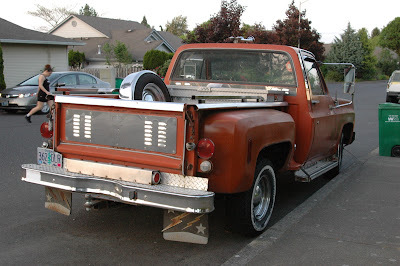 : 1977 Chevrolet C10 Custom Deluxe Stepside. 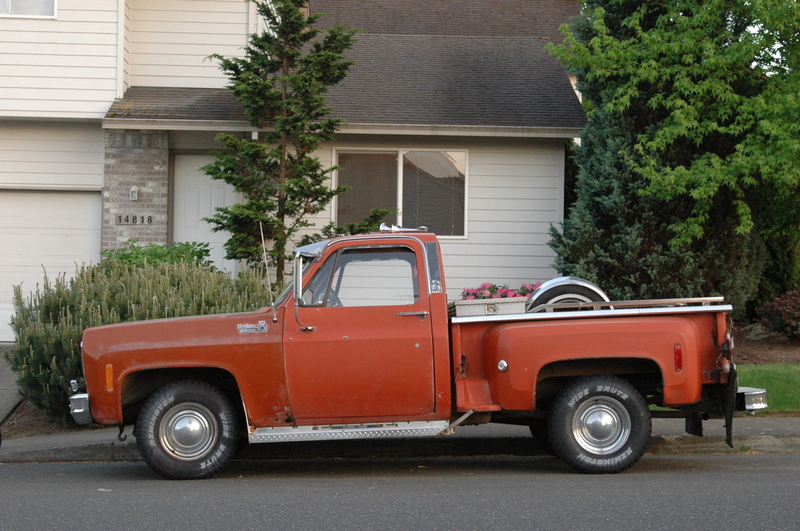 1977 Chevrolet C10 Custom Deluxe Stepside. Man, that is one BADASS truck. I'd totally drive it. Wow, now that has a lot of goodies! Looks like they went through a catalog back in the 70s and ordered everything. But that is awesome! 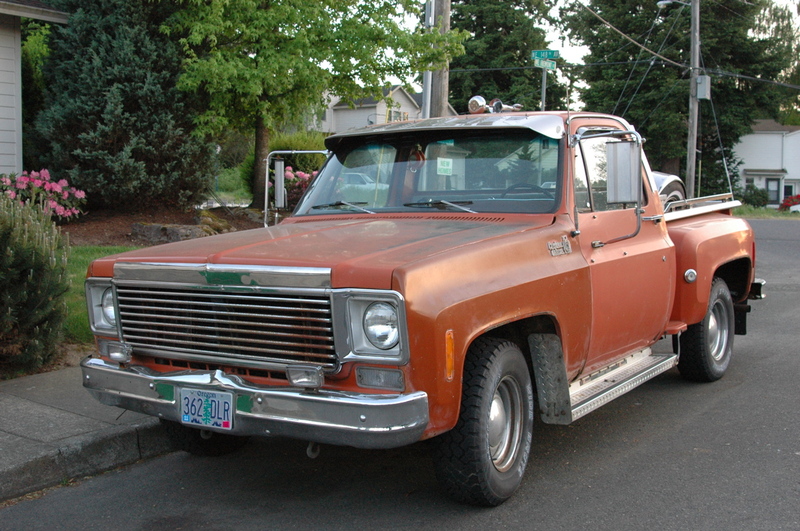 It really preserves period customizations, and the period look for trucks. I especially like the sun visor and horns. Very cool! 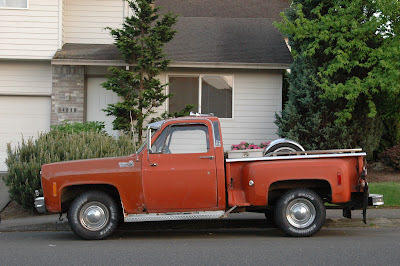 This reminds me of my truck. I don't have all the trimmings though- I prefer plain truck. This guy has a lot of fun. Dream Truck!! My grandpa still has his '77 Longbed Custom Deluxe 250 L6 3sp!! It needs some upgrades yes but I still love these trucks! '73-'87 For Live! Does anyone know what the chrome on the front of the hood is called and where to get one?